You said, "I know the media likes to personalize political debates, and I know the government will demonize me." Who you are is fascinating, but what you’ve exposed is what matters. It is upending the world. It is damaging Washington’s relations with many Latin American and some European countries, with Russia and China as well as with its own people—those, at least, who bother to read or listen to the news and care about what they find there. “Edward Snowden Single-Handedly Forces Tech Companies To Come Forward With Government Data Request Stats,” said a headline in Forbes. Your act is rearranging our world. How much no one yet knows. 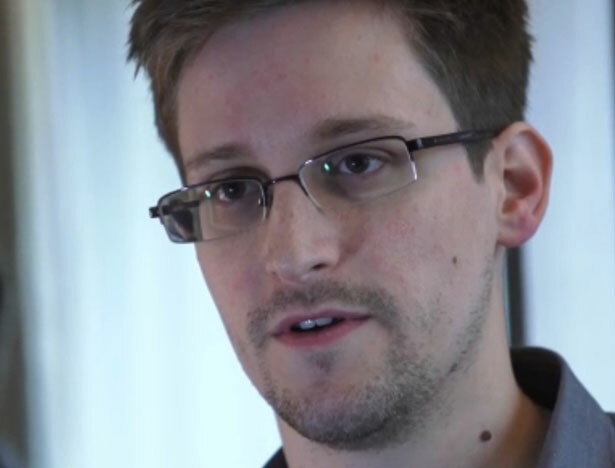 What’s striking about your words on video, Edward Snowden, the ones I hear as your young, pale, thoughtful face speaks with clarity and incisiveness in response to Glenn Greenwald’s questions, is that you’re not talking much about what you hate, though it’s clear that you hate the secret network you were part of. You hate it because it poisons what you love. You told us, "I understand that I will be made to suffer for my actions… [but] I will be satisfied if the federation of secret law, unequal pardon, and irresistible executive powers that rule the world that I love are revealed even for an instant." You love our world, our country—not its government, clearly, but its old ideals and living idealists, its possibilities, its dreamers and its dreams (not the stale, stuffed American dream of individual affluence, but the other dreams of a better world for all of us, a world of principle). When the United States forced the airplane of Evo Morales, Bolivia’s democratically elected head of state, to land in Austria, after compliant France, Spain, Portugal and Italy denied him the right to travel through their airspace, all South America took it as an insult and a violation of Bolivia’s sovereignty and international law. The allied president of Argentina, Cristina Fernandez de Kirchner, tracked the incident in a series of tweets that demonstrated an openness, a principledness and a strong friendship between Morales, Ecuadoran president Rafael Correa and her. It was a little window onto a really foreign continent: one in which countries are sometimes headed by genuinely popular leaders who are genuinely transparent and governed by rule of law. It’s a reminder that things in our own blighted, corrupted, corporate-dominated country could be different. Those new technologies are key to the latest rounds of global organizing, from the World Trade Organization actions of 1999, put together by email and epochal in their impact, to the Arab Spring, which used email, cell phones, Facebook, Twitter and other means, to Occupy Wall Street. The technologies are double-edged: populist networks for creating global resistance are vulnerable to surveillance; classified reams of data are breachable by information saved to thumb drives or burned onto CDs by whistleblowers and hackers. They can spy in private; we can organize in public, and maybe the two actions are true opposites. Meanwhile there is massive upheaval in Egypt and in Brazil, and in recent years there have been popular rebellions in many parts of the Arab world, Turkey, Iceland, Greece, Spain, Britain, Chile and the US itself with Occupy. The globe is on fire with popular outrage, with fury over economic injustice and, among other things, climate change spurred by the profits a few are piling up to the detriment of the rest of us, generations to come, other species and the planet itself. It seems that, surveillance or not, people are not about to go quietly into the nineteenth century or accept the devil’s bargains of the twenty-first either. Wondering how to be a rogue superpower in the twenty-first century? Here's a manual.